Free Starbucks Reusable Holiday Cup on 11/2 - Who Said Nothing in Life is Free? On November 2, customers who order a holiday beverage of any size (like the Peppermint Mocha!) will receive a free Limited-Edition Iconic Red Reusable Cup. The offer is available at participating company-operated and licensed stores nationwide while supplies last (the reusable cup is available for purchase for $2.50 after this one-day offer). 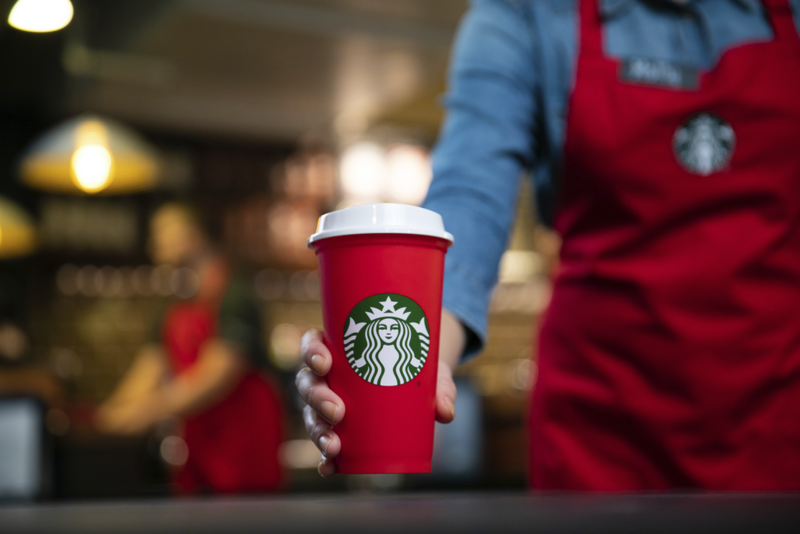 Also , beginning Saturday, Nov 3, customers who bring their Limited-Edition Iconic Red Reusable Cup to a participating Starbucks store in the U.S. or Canada after 2 p.m. will get 50 cents off their handcrafted grande (16-ounce) holiday beverage, through Monday, Jan. 7.